Caring for an older loved one over the holidays can pose some unique challenges. In addition to looking out for the health of a loved one, caregivers also have to deal with the stress of caring and of the holidays. It can be easy for caregivers to become overwhelmed physically and emotionally, especially when caring for a loved one who may be mentally or physically impaired. Even with these challenges, there are some steps that caregivers can take to ensure that the holidays are safe and enjoyable for loved ones as well as themselves. Here are a few suggestions. People may have a tendency to go overboard during holiday get-togethers. There may be a lot of time spent planning, preparing food and travelling. This can cause stress for both the caregiver and the senior. Instead, focus on quality versus quantity. Try having the parties or holiday dinners at the primary place where you care for your loved one; this will eliminate stress of travel. If a loved one suffers from dementia or Alzheimer’s, removing them from a familiar environment may cause unnecessary stress or confusion. Instead of decorating the entire house, focus on a few lights, wreaths or garlands. Focus on enjoying the process, routine and time together rather than the result. When inviting guests, rather than having a large number of people over at a time, try spreading out visits. This will keep the stress level down while still allowing your loved one to socialize and connect with friends and family. Make sure to plan gatherings in advance. This will allow for plenty of time to organize an event and get your loved one ready for it. When it comes to dinner, suggest a potluck. This will cut down on the amount of work you have to do to organize and clean up. And most importantly, don’t be afraid to ask for help. If family members are not available, third-party companies can also provide caregiving assistance to reduce the burden on you. Caregivers spend a good deal of time fulfilling the needs of others and often forget their own needs. Some can even feel guilty for doing something for themselves. 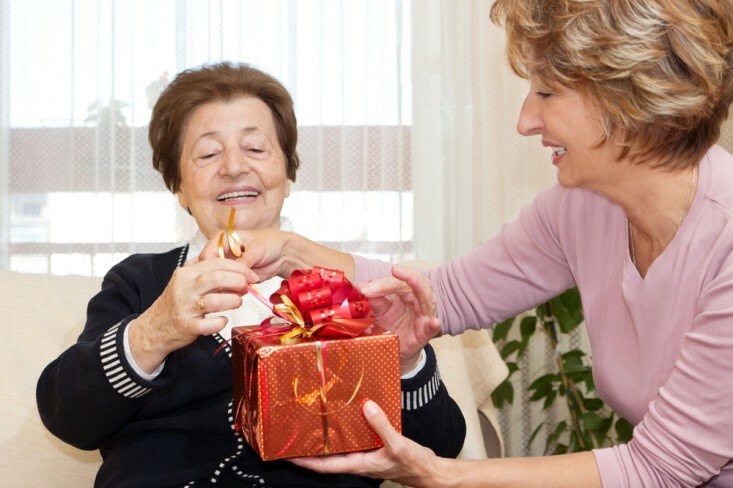 The holidays should be a time for caregivers to relax and enjoy their time as well. In the middle of all the rushing about, make sure to stop and take a breath. Loved ones depend on caregivers, so they need to stay healthy too. Make sure to eat a balanced diet, and get some exercise. This will also help you manage stress. When it comes loved ones, be mindful of their diets and exercise as well. Overeating and drinking too much alcohol are common during the holidays. Both are risk factors for developing heart disease, Type 2 diabetes, high cholesterol and high blood pressure – all diseases that seniors have a higher risk for. If they already have these diseases, poor diet can increase complications from these conditions. Icy conditions may also make getting around safely more difficult. Caregivers need to be mindful of the slippery conditions when outdoors. 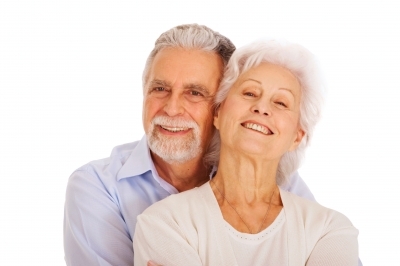 Older adults are also more susceptible to colds and viruses. The Centers for Disease Control and Prevention (CDC) recommends getting older adults vaccinated, and there are special, stronger doses to keep seniors from getting the flu. Most importantly, caregivers need to remember to take time out for themselves. Schedule it into the day, and stick to it. Take time to be thankful for the things that bring happiness and joy this season. With some careful planning, caregivers can decrease holiday stress while keeping loved ones safe and healthy. Michelle Y. Llamas is a published writer and researcher. She hosts Drugwatch Radio, a health podcast, and writes about drugs and medical devices for Drugwatch.com. As time moves on invitations from family members continue to pour in, spending time with the grand & great-grandchildren are wonderful, however there is a loneliness they cannot always fill. As a person gets older and more mature, dating seems less like finding a physical attraction and more like finding a well-rounded person who can fulfill many different needs. Whether your last marriage ended due to death or divorce, being elderly doesn’t mean you have to be alone. First question you should ask yourself is, are you ready to date? Can you handle emotionally and financially what dating may or may not have to offer? Dating can be stressful and of course at times it seems as if you’re the only fish in the sea and the rest of the people are algae. Trying to find someone can make you feel more alone than when you started the journey. Not much has changed in the way of dating, however meeting people to get to the actual date is drastically different. There are many social media sites that people can meet, online dating is specifically targeted to those who are looking for a relationship. Online dating sites have recently realized that targeting demographics is the way to spark new interest in their services, there are dating sites for farmers, ethnic races, geographic areas and of course seniors. And of course if you are already on a dating site, you can limit the age ranges of the people you are looking for to include only seniors, it’s not necessary to change sites and have to write your profile all over again. Remember that sites like Craigslist are not dating sites, these are general post sites, which means you could be getting more or less than you bargained for. Notifying your family and close friends about your intentions may be stressful or to them may be a relief, you may also get one of the more tech savvy grandkids to help you with your profile. Talking to people you care about is a necessary step, sharing with people who care about you also acts as a safety feature. Remember that you care about them, so keeping them in the loop helps you both. Beginner in online dating? First thing first, set up your profile and figure out what you want. This is mandatory on most sites, so if you are unsure about what you are looking for, take a day or two and figure out the attributes of the person you would like to have in your life down to hair color, age and even whether they are a smoker or not. If you don’t specify what you want you will get a larger list of people to look at, some of the fields are required but specify so, and of course if you change your mind later, you may always change these details. Also give thought to what you want people to know about you. Remember to keep personal details and sensitive information about yourself off your profile, to avoid any possible scams or issues later. Now that you’re a little more comfortable with the idea of dating and your family is too, think about the future. Are you looking for a life partner? Are you willing to relocate and what does that mean for your family? These will all be questions you will come across sometime in the dating process. Online dating is filled with difficult way to decipher how someone feels about you by adding things such as winks, this is an easy way to say to another person that you are interested them without any pressure or commitment and of course no obligation to message you or wink back at you. Always remember that you’re not the only person who might be learning to online date, so if someone doesn’t get back to you or it takes them a while to get back to you, don’t take it personal. They may not be interested, didn’t notice your message or wink, have little internet access, are shy, or generally don’t know what they are doing. Messaging another person. Remember to take it slow, ask them about their additional interests other than what is said on their profile, of course read their profile first. If you agree to meet in person, remember to find a safe public location. Always notify someone you are close to as to where you are going. If you have a cell phone, remember to bring it with you just in case. Meeting in person. It’s so exciting when you finally meet someone in person. Beware that a profile is often the reflection of what a person wants to be rather than who they really are (or what the writer thinks the person is), meeting them in person will help you discover that inner self. Remember to keep an open mind and that you’re discovering more about this person every time you interact with them. Maybe jot down some notes about things to talk about and questions to ask. The more you date the easier it will become, especially if you’ve been out of the scene for a while. Deciding to Stop Communicating. Remember the golden rule, do unto others. If you decide that you no longer want to communicate with a person, for whatever reason (discovering you aren’t ready to date, just don’t see eye to eye with them, found the love of your life, etc), remember to be respectful and tell them that you no longer wish to communicate so they aren’t wondering what happened to you. If you decide to give a brief reason why, remember to make it brief, giving too many details may confuse the situation. Remember that’s it’s okay to not like someone or just want to be their friend. Understand that this may happen to you as well. Things don’t always work out with everyone all the time but when it does the magic is worth all the heart ache. I hope you find these tips make it easier to figure out how the online dating world works and of course, best of luck to you in your endeavors.